The Spindle Palm Tree has been and will be one of the most unique palm trees ever to have sprouted leaves. The Spindle Palm is characterized by a white base trunk which grows an elongated swell in its mid-section. The Spindle Palm Tree’s crown consists of another swollen area in the base of its crownshaft. 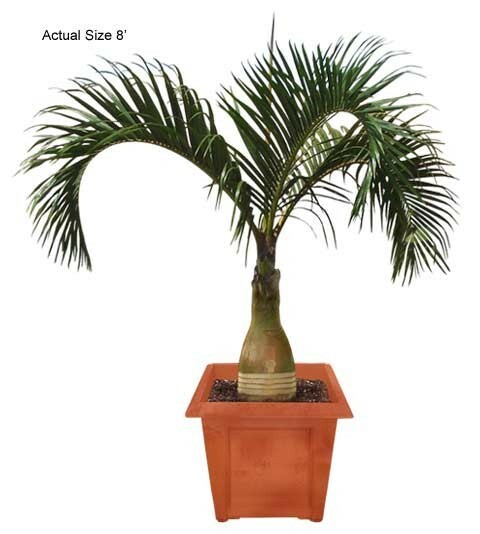 Then the Spindle Palm Tree ends with beautiful v-shaped leaves that are 8-10 feet in length. Coupled with its ability to produce a sweet flowery fragrance aroma from its flowering seeds and its interesting shape, the Spindle Palm Tree is a showstopper. The Spindle Palm Tree originates from the exotic Mascarene Islands off the coast of Australia. 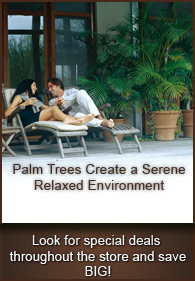 Let the Spindle Palm add excitement and enjoyment to your landscape or home.